Where were you when Kennedy was shot? When MLK was shot? Reagan? 25 years ago today, 7 brave people boarded the United States’ fairly new Space Shuttle. It was cold that morning in Florida. Very cold. But the Space Program looked forward. There was an excitement in the air. This flight included one of us. 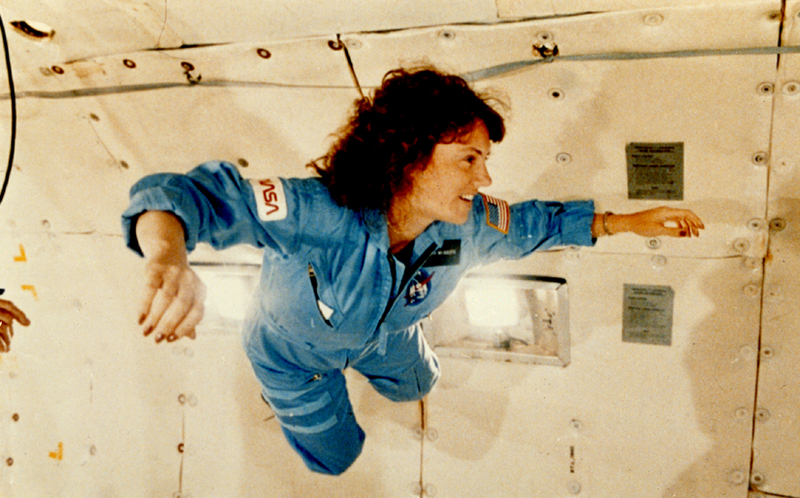 Not a military pilot, but a teacher: Christa McAuliffe. The dreams of generations boarded that Shuttle with her. For the first time, American school children were given a direct connection with the space program. Someone who could have been their teacher, someone THEY knew was going to orbit the earth. She was to tell us what it was like through her eyes. We honor the heros of the last Challenger mission by pushing forward. By living out our dreams. By daring to explore. By daring to try. Tonight, go outside and look up. For just a moment, think about what’s up there. Go ahead, see if you can touch it. Next Next post: That’s one small step for man, one giant leap for… Masten Space’s astronauts! I was at work as a technical writer at Hughes Aircraft in Tucson Arizona. I was assigned to a project for the Phoenix air-to-air missile. Because shuttle launches were still somewhat of a novelty and this one was more so than most, we had a few TVs scattered around the area so people could pause from their work and launch. There was a stunned silence when the launch exploded. Being an aerospace company, almost everyone there immediately knew this was very bad and not survivable. Little work was done the rest of the day. Not one management type complained.